Showing results for tags 'ISI'. Image Space Incorporated (ISI) ha annunciato la collaborazione con varie aziende del settore automotive per lo sviluppo delle vetture a guida autonoma. Il lavoro sarà effettuato utilizzando il già noto rFPro, il simulatore professionale dell'azienda americana che, pur essendo profondamente diverso dalle versioni commerciali rFactor ed rFactor 2 (peraltro cedute allo Studio 397), utilizza i collaudatissimi engine ISIMotor (per la fisica) e gMotor (per la grafica). Gjon Camaj ha spiegato in proposito:"Over the last ten years we've dedicated our team to producing realistic and verifiable, rather than cinematic, simulation. That focus really paid off with the emergence of the Autonomous Driving simulation market. Our overall simulation architecture and graphics engine delivers, out of the box, the tools and techniques that are required for Deep Learning based perception systems driven by camera, LiDAR and radar feeds." Chris Hoyle, direttore tecnico di rFPro ha aggiunto: "Vehicle manufacturers and their suppliers are increasing their investment in the development of ADAS and autonomous systems, that places the emphasis on the development and validation of Deep Learning systems for both Perception, using cameras, radar and LiDAR to detect the environment, and Prediction, to plan a path through the road ahead, allowing for traffic, pedestrians, road signals and hazards. The combination of technologies from rFpro and ISI is so much greater than the sum of the two parts as it allows us to substantially accelerate our R&D, rFpro has one core focus: driving simulation, and, by investing in our R&D capability, we hope to keep ahead of the curve on the demand for new capabilities from our customers in Deep Learning Autonomous Driving, ADAS and Vehicle Dynamics. The deal also secures our access to key technology, essential to producing realistic simulation for perception systems." Qui di seguito due interessanti video ed alcune immagini che ci mostrano il lavoro in corso. Commenti sul forum. ISI ha inoltre annunciato la realizzazione per rFPro della versione laser scan del circuito di Sepang, che possiamo ammirare nel video qui sotto. rFactor 2 is a realistic, easily extendable racing simulation from Studio 397. It offers the latest in vehicle and race customization, great graphics, outstanding multiplayer and the height of racing realism. rFactor 2 features mixed class road racing with ultra realistic dynamics, an immersive sound environment and stunning graphics. You can race against a field of AI cars, or in multi-player mode against others. The simulation supports a full day-night cycle as well as dynamically varying weather conditions such as rain. Tracks feature "real-road" technology that changes the grip as more cars drive on it. You can run full 24 hour endurance events and in multi-player mode, driver swaps are also supported. Everything can be customized by the community, including adding new tracks and cars, and a wealth of add-ons are available on-line. rFactor 2 is also an evolving product, which will be updated and added to for many years, so the list of features will expand! Our C6 cars come in four different packages, each with upgrades affecting visuals or physics. C6 Coupe / Grand Sport – no physics tuning options available, only visuals. Z06 – additional Z07 physics package. ZR1 – additional PDE physics package, as well as slight weight/aero tweaks for the cars with lights on the roof. Since we initially released the Brabham BT20 for our users, Sir Jack Brabham unfortunately passed away. We wish his family the best, and once again thank them for allowing us to include this car and “Jack Brabham” himself in our simulation. We’re delighted to also have “Denny Hulme” joining him to truly represent their era as opponents for you to drive as, or against. In 1966 Jack Brabham finished on the podium in Mexico using the BT20, winning the Drivers Championship. Meanwhile, Denny Hulme raced the car for most of the season, finishing on the podium four times and cementing the team victory in the Constructors Championship. The car was also used by the team in 1967, with one points finish for Brabham and three for Hulme, including a victory at Monaco. Please uninstall the current version of the car you may have, then download the Brabham-Repco BT20 v1.6 rfcmp and install it. Need help driving? Check out the ‘technique’ section on the BT20 profile page. Brabham-Repco BT20 v1.6 Changelog: – Added Jack Brabham and Denny Hulme AI drivers. Physics – ModelWheelsIncludeAllTireMass’ fix / enhancement. – Moved to ultra chassis (with Chassis Flex). – Inertia’s recalculated for total body and for individual parts (such as brake discs, etc). – Revised suspension geometry from scratch. Pushrod locations are also using the new method and which should give accurate motion ratio’s throughout the entire range of travel of the suspension. – Dampers and springs revised to match. – Reduced maximum steering lock so that tyres would not intersect suspension parts. – Moved over to new steering system. – Tyres scratch made. The old ones were slightly too wide and rear radius was too low. Also the effect of real road on these old tyres has been reduced the tyres also have a lower wear rate. – Numerous minor AI correlation tweaks. – Tweaked undertray locations and added one more point. – Brake system completely recalculated based on new data (the effective Brake Bias is ~57% front on default). – Differential now allows preload adjustments. – New tyre parameters included for wet weather added. – Engine life tweaked. – Minor fixes. Sound – Using new sound internal / external attenuation variables and scrub individually to tyre sounds. Graphics – Brand new historic driver, completely from scratch. – Added individual driver faces for a more authentic feel. – Graphically corrected front rims to 15″, front tyre radius slightly reduced. Tyre widths also slightly adjusted. – Brake discs corected to 11″ (F/R) – Steering wheel mapping update – Shaders update – Various textures updated – Holes in the back+under car body fixed – Minor LOD distance tweaks. – Included additional liveries by our test team. UI – Class name now occupies only 1 entry in vehicle filter list. – Category now starts at manufacturer to be more consistent with other cars. 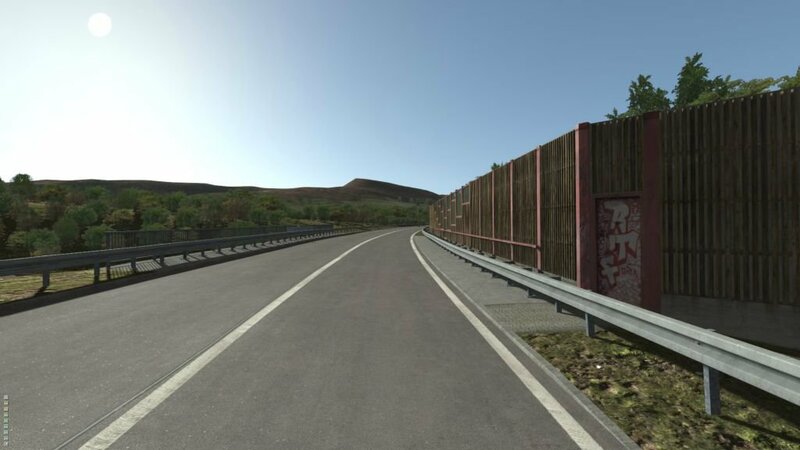 La creazione del nuovo Studio 397 per lo sviluppo di rFactor 2 ha creato parecchia agitazione negli animi dei fans ISI. Una nuova intervista fatta da SimHQ a Marcel Offermans di Studio 397 chiarisce ulteriormente alcuni concetti, nell'attesa del prossimo update del simulatore previsto in arrivo entro l'anno tramite Steam. Le domande si concentrano in particolare anche sul comparto modding e sulle vetture Stockcars ed Indicar. Commenti sul forum. Doug: Let me guess. Solving the current modding situation is a high priority. Is it the highest priority? Marcel: No, the highest priority issues at the moment are DX11, VR support, a better UI, and matchmaking. The workshop already works pretty well from a user perspective. Tools for modders can still be improved though. Doug: How high a priority is making the packaging process easier to use in rFactor 2? Marcel: I would say it is medium priority. I would like it to be easier for people that host leagues, maybe even up to the point where they don’t need to package anything. For modders the packaging system works reasonably well. One thing that I would like to do is to make the tools easier to integrate into automated processes, so you can create scripts that package content and that can run unattended. La creazione del nuovo Studio 397 per lo sviluppo di rFactor 2 ha creato parecchia agitazione negli animi dei fans ISI. La nuova intervista fatta da Pitlanes a Marcel Offermans di Studio 397 è quindi decisamente utile a chiarire ulteriormente alcuni concetti, nell'attesa del prossimo update del simulatore previsto in arrivo entro l'anno tramite Steam. Fra le questioni chiarite, il fatto che i nuovi contenuti arriveranno a parte, massima priorità al supporto DirectX 11 e VR, implementazione dei motori ibridi ed un nuovo sistema per l'acquisto dei contenuti extra. Will there be DLC’s, maybe including laser scanned tracks? monthly subscription? online cost? Marcel: We are working on a system for “paid content” that can be leveraged both by the community and ourselves. That will allow us to get more licensed content into the game. We will obviously try to ensure this content is of high quality, so we are considering both laser scanning and leveraging 3D CAD data. As an example of the latter, we are quite proud of Silverstone, which is very accurate and beautifully detailed. How long until the first release from Studio 397? Will it be content or a core update? Marcel: The first release is planned for this year and will include a lot of patches and small improvements that have been in development since the last release. This will be the first Steam only update. New content releases are also planned, but we can release those separately. parte 1 -> http://www.racedepartment.com/threads/exclusive-marcel-offermans-studio-397-rfactor-2-interview-part-1.126534/ parte 2 -> http://www.racedepartment.com/threads/exclusive-marcel-offermans-studio-397-rfactor-2-interview-part-2.126535/ RD: It was mentioned there was a proposal to bring the rF1 tyre model into rF2 , generating a number of both positive and negative comments. Do you have anything to say on the subject to maybe address some of the concerns raised? MO: Yeah, I've already given a short explanation in the forums when people started discussing that. I think it is a fair discussion. If you look at the rFactor 2 tyre model, it is definitely a more advanced than the one we had in rF1. There is no debate about that what so ever. But in the past couple of months, I've talked to a lot of people who make physics for cars, also people that do that professionally, who take rFactor and make physics for cars used by racing teams. Some of these are saying that yes, the new tyre model is more advanced, but with the data they have, it is actually easier for them to work with the rFactor 1 tyre model and end up with results that are pretty close to the data that they’ve got. So that is the reason why they prefer working with that model. That's the reason why I'm considering it as an option, to enable more people to work with rFactor 2. Again, stressing the point that we are trying to be an open simulation to the whole community, with as many people working with it as we can. In the end, the overall quality of the physics will determine whether people like it or not. Yes there is probably more to like in the new model, but as you well know, there are many other simulations out there that are still using the rF1 tyre model that are also creating quite nice cars. So I'm thinking why not have the benefit of that and offer an option that lets people decide what they want to drive in the end. One of the first screenshots released of rFactor 2 during production was this model. Yes, it is that old. We’ve brushed it up, added a couple of extra configurations than originally intended and pushed it out of the door for you to enjoy. Located within a mountain range in North Carolina, this 1.5-mile oval contains a number of other layouts suitable for both oval racing and karts. 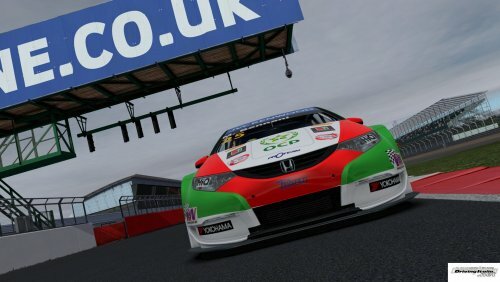 Il team ISI ha rilasciato la nuova build aggiornata 1080 del suo rFactor 2: la nuova release si preoccupa essenzialmente di correggere vari bugs ed apportare alcune migliorie su vari fronti, come spiegato in dettaglio a questo link. Anche la demo del gioco è stata aggiornata ed ora ci mette a disposizione la Formula Renault 3.5, la Howston 1974 ed il circuito di Toban. Da segnalare inoltre che, sempre per il simulatore targato ISI, è disponibile da oggi il nuovo ASR3 Series realizzato dal noto modding team ASR Formula, che ci permette di simulare la combattuta stagione del campionato GP3, con la monoposto targata FIA che potete ammirare nelle immagini qui sotto. We’re very happy to release an update for the much-loved-by-leagues Renault Megane, including updates to the 2012 Evo specification. By default, the car is loaded in the 2012 Evo specification but it’s possible, via upgrades, to use 2009 specification (the main difference is less powered, 360HP engine). The endurance package provides center lock wheels (for faster pitstops) and a 100L fuel tank. There are two ways of displaying units for some of setup items – the default being what is used in the documentation. If you prefer standard units, select it in the upgrades menu. We also provided a fix for some of steering wheels not being able to provide full 900 degrees of rotation this car uses. We’re delighted to release a great update to our Stock Car that should make those of you who enjoy it – even if just on the roadcourses – very happy! You can now race as – or against – Joey Gase in the rFactor 2-sponsored car as seen in Phoenix last season. It really was a gorgeous livery, so we’re happy to bring it to you in the sim. Download: v1.04 Non-Steam – 279MB Changelog: – Added #32 Joey Gase A.I. car and skin. – Tires tweaked, which now require more camber. – Fix for tuning upgrades. – Fixed typo in setup notes. – Reduced AI sampling rate slightly (afforded by newer AI bumpstop overrides) – Slightly tweaked default setup for most configs. – Added several tracks to trackconfigs.ini – Added several AI setups to help their competitiveness on newer circuits. – Other AI adjustments for newer tracks.